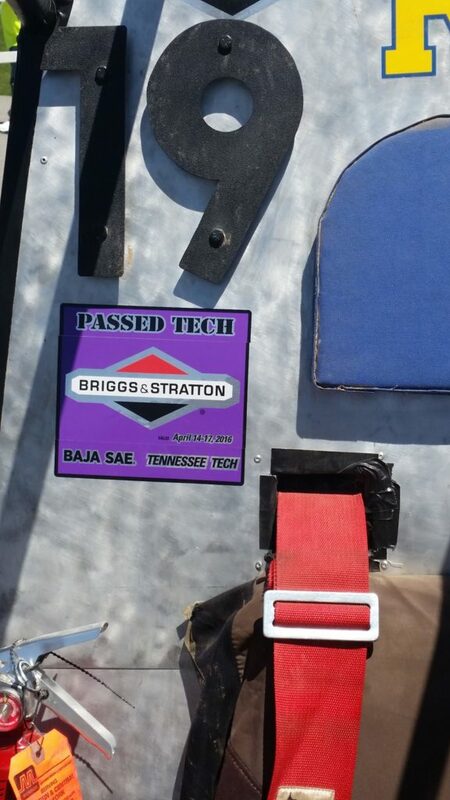 Baja SAE is well known among the college engineering community. However, outside of that group, it remains a mystery for most. I am interested in business, politics, and economics, so to most, it does not make sense that I participate in Baja. For that reason, when I talk about Baja — which I do a lot — people either forget I am not an engineer or ask me why I am not. My response is generally along the lines of “I don’t need to be an engineer to be a part of Baja” or “I don’t want to be an engineer. I just want to do Baja.” Most people who participate in Baja see it as a practical application of engineering theory and nothing more. While it is, indeed, an application of engineering theory, it is also much more. As a double social science major, I find a great deal of satisfaction in my participation in Baja. For one, I have been able to explore my interest in working on cars and racing, both of which are passions of mine but irrelevant to my majors. Is Baja just a hobby for me? Absolutely not. While I joined Baja because I wanted to pursue my passions, it has become an incredibly useful tool to further my education and future career prospects. I have moved up through the ranks rather quickly, becoming business manager as a sophomore. In title alone, being the business manager for a Baja team will be useful in a job interview. On top of that, I have learned a great deal. I am far more capable working on a team, more adept at research and organization, and I have learned how to work with business professionals in the real world environment when seeking sponsorships. Without Baja, I would be stuck living out my college days just working through one economic model after another, just to get a degree in something that sounds relevant. Now I get to do that and work with people as if I am an associate in a real world business, an analog to engineers realistically applying their theories through Baja. In the end, I put a great deal of work into Baja and I have hardly even contributed to any design. I let the engineers take care of that. What I am able to do is work on our cars. I get to fabricate, build, and repair parts of the cars. With the knowledge I have collected by working closely with a team of engineers, I have learned enough about engineering to the extent that I am able to contribute to relevant discussions about our cars. These contributions I have mentioned come more from my own diverse interests than what my majors say I should be doing. Let’s say, for instance, that I had zero interest in the cars. We can say that I never touch the cars or participate in shop hours. 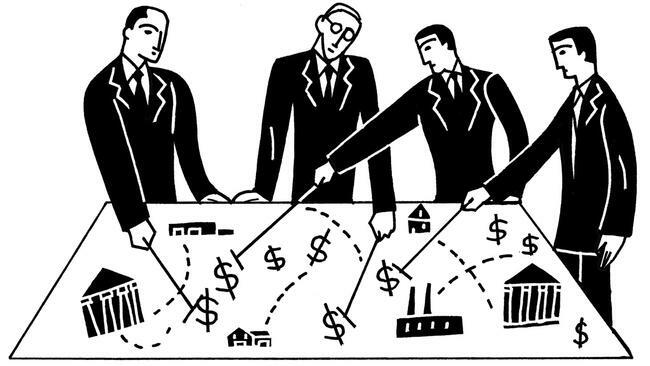 I would probably be less effective at my job, but I would still be able to contribute a great deal to the team. I am able to budget and put in orders. I am able to work with sponsors. I am able to help the team run as effectively as possible. Figuring in the passion I have for our cars and competition, I am able to contribute a unique skill set to my Baja team. As I said, I have never designed anything. I am not an engineer, but I am a relevant and impactful member of the team. Sure, it may take a bit more explaining to convince a potential employer that Baja sets me apart from other applicants, but that does not mean I will not get that point across in the end. In fact, I would say Baja sets me apart from those in my areas of study while my areas of study set me apart from the plethora of engineers in Baja, both to my benefit. In the end, my major does not have any impact on my ability to Baja. The first and most complex issue the team faces is cooling down the continuously variable transmission (CVT) in the rear of the car. The CVT can reach a maximum temperature of 120 oC (248 oF) because of the heat trapped inside the cover and the belt. This high amount of heat can be a major detriment when racing in an endurance race and can also affect the general performance of the car. The plan of action is simple: changing the material of the cover from fiberglass to aluminum sheet with mesh. Although it might seem a little unusual to transition from fiberglass to aluminum, the main reason for this is that aluminum can absorb the heat generated on the inside, unlike fiberglass, which insulates the enclosed system and prevents heat from flowing out. Therefore, to ensure the success of this new project, we are incorporating a cooling fan to the primary shaft of the CVT, this together with a mesh on the side of the cover, will allow heat to exit and reduce to temperature by nearly 30% (with respect to a CVT without this system)*. Since we are committed to the improvement of all the components in the car, we will starting concentrating in those that are specifically vital for maintenance. For example, one of the projects we are working on currently is adding a hinge to the front to allow axial movement of one of the body panels to access the brakes, brake fluid reservoirs, steering wheel rack, pedals, and more (basically the same idea behind the hood of a car but in a Baja vehicle). These are only some of the projects we are currently working on. This season brings new challenges since we are building a brand new car, and it’s also a great opportunity to innovate and show how the University of Rochester can generate new solutions in the world of automotive engineering and Baja racing. Below I will outline the recent changes to the electronics team, and the updates we are planning for the 2017 season. I have enjoyed being the electronics team PTL and I look forward to seeing the improvements the electronics team has made implemented on the 2017 car. Midnight Mayhem provided an excellent training opportunity for Ian Lawson and An Ho (two new members), to learn about wiring a Baja Car. The 2016-2017 Electronics team is relatively young but the new members are learning quite quickly. Both Ian and An are now fully capable of wiring the kill switches, brake lights, auxiliary lights, and any other components needed for the 2017 car. At Midnight Mayhem live data was collected for the first time using a Raspberry Pi with an accelerometer. The box was placed on the Rochester Car for the endurance race and recorded data for the entire time the car was in action. The data still needs to be processed but more information about the engine vibrations is needed to do this. We will run static cases on the engine when the Rochester car is reconstructed from the damage at Midnight Mayhem. However, having data from an actual competition is a first for the team and should lead to even more solid designs in the future. Thanks to the work of my predecessor, David Gonzalez, some of the leg work for getting the hall effect sensors up and running was already done. The previous system was capable of recording data at a low resolution of 30 rpm. To improve this resolution, the RPM calculations are now done offline which allows the hall effect sensor to run at its maximum rate. The preliminary results from this change look promising but more testing still needs to be conducted once the Rochester Car is fixed. The system will be ready to go for 2017, allowing us to measure the engine rpm as well as the ratio from the transmission. This year the team was fortunate enough to have one of our alumni, Matt Isbell, return to help with data collection. SimuTech Group, where Matt is employed, is able to provide us with strain gauges and accelerometers. In preliminary trials, it was determined that the engine vibrations need to be dampened in order to obtain more accurate data. The team is looking into accomplishing this for the 2017 car, and that will provide us with more load cases and verification of our designs. Many thanks to Matt and SimuTech Group for all of their help. 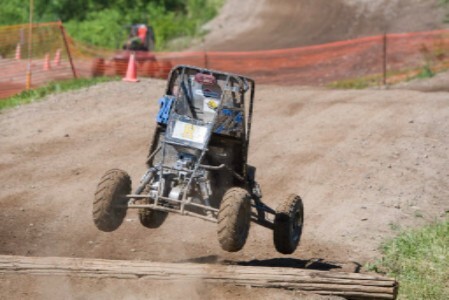 When I told some of my friends back in high school that I had joined the Baja team here at the University of Rochester, they asked me two things: who in their right mind would trust me to drive an off-road vehicle, and what does car racing have to do with engineering anyway? Baja is an engineering club. Sure, the goal, if you will, of the club is to design, build, and compete with the best off-road vehicle against colleges across the country and world in various events. But the winners are not the teams with the best drivers. Yes. You need to know how to drive the car. You need to fly around corners at 30mph like nobody’s business. You even need to know what to do when you get stuck a foot deep in the mud (wiggle the wheel madly). But none of those things determine the winners. The best team is the one that builds the best car. Going into Baja, I was under the impression that each team could build any car they wanted, then fight for the number one spot in a sort of Mario-Kart-In-Real-Life setting—I pictured carts shaped like giant rubber duckies, giant strollers, and maybe even a Harambe-themed vehicle. 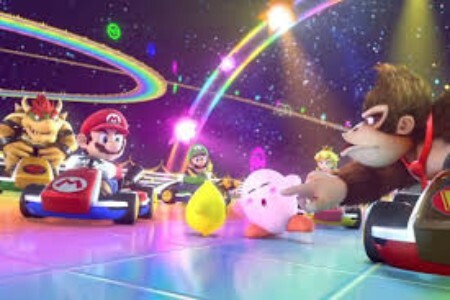 Unlike Mario-Kart, however, winning the race is not about having the hippest car; it’s about building a system designed specifically with the competition in mind. You need aerodynamics. You need a car that has the ability to turn to avoid crashing into trees. The key is that creativity is permitted, but you need to think about the implications of every decision. That said, it’s not like the carts are all boring skeletons of steel; if you want to put flashing lights and a funky-sounding horn on it too, that’s allowed. Most of the vehicles at Midnight Mayhem, the annual midnight race in Kentucky, were covered in all kinds of psychedelic colors. Engineering is about being creative, even when it looks like there isn’t any space left for creative thought. There’s a requirement for the type of motor you can use, a specification for the arrangement of your wheels, rules about the very materials you can build your cars out of. It seems there’s barely even room to design. But when you’re at a competition, there’s clearly a difference. Some cars move at breathtaking speed, but can barely turn. Some carts are so heavy with gearboxes and extra frame pieces that they can hardly make it up a hill. 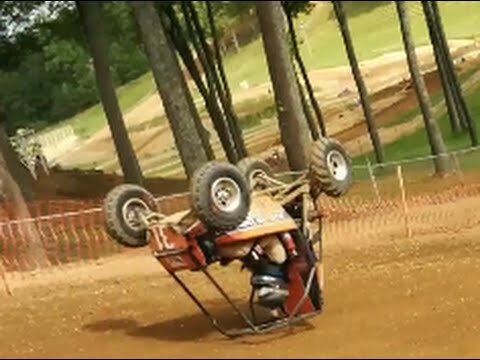 Others—and this actually happened—look like they’re doing great until they plunge down a hill, lose traction, and do a full-frontal flip. In this competition, the team with the best engineers, not the best drivers, is the one that emerges victorious. If you want to see pictures from Midnight Mayhem, please click here! The primary goal of this year’s geometry is to increase the ride height to 11 inches. In addition, the rest length of the shocks at race settings (15.2 inches) was accounted for in the design. Along with other small considerations, this goal will ensure that the suspension adheres to the design plans. Furthermore, the new gearbox necessitated an increase in wheelbase relative to last year, resulting in slight changes to the Ackerman geometry (outboard tab moves slightly inwards towards the frame) and a slight increase in theoretical turning radius. A new addition to the car last year, the roll-bar can greatly improve high speed maneuverability by allowing the inside rear tire to lift off the ground at lower speeds than would otherwise be possible. The previous roll-bar appeared to be too stiff and caused understeer at the Rochester maneuverability event, so this year a looser roll-bar is planned. 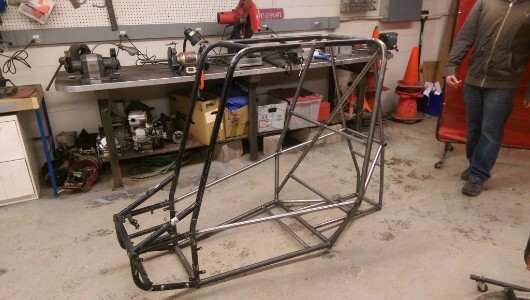 As a test, a modified version of last year’s roll-bar was tested at Midnight Mayhem and appeared to solve the understeering issue. I would like to further test this stiffness setting before incorporating it on this year’s design but such testing has been delayed by frame repairs. This season we will begin experimenting with new weight reduction methods by introducing aluminum tie-rods. The challenge with aluminum is not designing it to prevent failure but manufacturing it. Both tie rods will require threaded inserts and a hex piece (for ease of suspension tuning) to be welded on to the tube, which in turn necessitates heat-treating of the finished tie rod. Aluminum 6061 has a rather complicated heat treatment process, but the 7005 alloy (which has a slightly higher elastic modulus than 6061) has a heat treatment so simple, it can be done in a household oven. In future years, as we gain confidence in our ability to manufacture aluminum suspension components as well as the ability of these parts to hold up in an endurance race, more elements of the suspension might be made from 7005. A major goal this year is to manufacture our own uprights using the Prototrak in Taylor Hall. The major obstacle is demonstrating our competence with CNC machining to the school, which is being accomplished by manufacturing replacement uprights for the 2014 car. A modified design has already been completed (reinforced upper A-arm mount, angled outboard steering mount), and a nylon prototype will be produced this coming week. For the new car, both the front and rear uprights will receive slight modifications as well, though the geometry of their mounting points (with the exception of the outboard steering mounts) will remain mostly unchanged. These modifications are intended to increase the ease of manufacturing, to ensure that both can be machined in three set-ups with no more than three tools. The rear bracing is one of the most difficult parts to design because of the interface between the various subsystems required on the car, namely drivetrain, suspension, and usability. Reducing the size of the bracing to lose weight is another major difficulty. It is vital to make sure that the bracing has enough space while packing it as tight as possible to reduce the overall weight. The firewall is one of the most important features of the car, as it separates the cockpit from the drivetrain and engine (protecting the driver). As there are many rules regarding the firewall, it is rather difficult to reduce its width. This year, one of the main goals is to reduce the width of the firewall in order to reduce the air resistance. This width reduction will help the team with both top speed and weight reduction from last year’s model. The SIMs are the lateral members of the roll-cage that seal the driver into the roll-cage. In last year’s model, the SIMs were straight members. However, this year’s model will feature a bend, crucial to reduce the width of the firewall. Because of this change, the cockpit will be made more ergonomic, allowing the driver more torso and leg room. This year’s model will also include a lower mounting point on the firewall, allowing the driver to egress much quicker and easier. Load cases are incorporated into our design to model the stresses at different parts of the car. We modeled load cases on frontal impact, frontal roll-over, and engine/gearbox loading. The load cases will also be physically tested in order to verify our stress analysis in particular points, with the help of recent alumnus Matt Isbell (‘16) and Simutech Group. 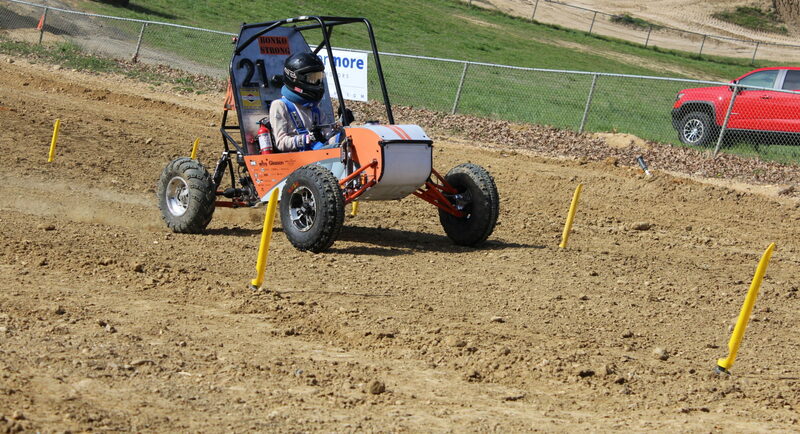 The primary goal of my design this year is to improve the acceleration from last year’s Baja Car. In order to achieve this goal, I selected a CVT (Continuously Variable Transmission) produced by Gaged for the upcoming season. For the past few seasons, the team has a run a CVT produced by CVTech with an overall ratio of 3.5:1 to 0.45:1. The Gaged CVT selected for this season has an overall ratio of 3.9:1 to 0.9:1. In my research, I found that having a higher low end on the CVT ratio is a better fit for a Baja car due to the limitations of the engine. The Briggs and Stratton Engine we are required to use only produces 10 HP which isn’t enough power to fully utilize a 0.45:1 minimum ratio. Another crucial factor in my decision to run a Gaged CVT was the ability to tune the CVT on the car, a feature that will save crucial time in the tuning process. The ability to tune while on the car will be useful in competition as well, should fine tuning need to occur since large tuning adjustments are not allowed. In addition, to have tuning options on the car the Gaged CVT also has 14 different adjustments to tune the CVT. These added tuning options will allow the team to fully understand and tune the CVT. With these ample tuning options also comes unmatched support from Gaged. This support was another important factor in the decision to run Gaged. This decision significantly reduces the overall weight of the drivetrain system and car. The Gaged CVT itself weighs about 14 pounds. significantly less than the 22 pound CVTech CVT. In addition, the increased high-end ratio of 3.9 allows for a significantly smaller gearbox ratio, meaning a lighter gearbox. To further reduce the weight of the gearbox, I also reduced the thickness of the gears. This was possible due to lower forces on the gears from the lower gear ratio. Currently, I am working on designing the gear case to closely wrap around the gear assembly, maximizing weight savings. Once the gear case is complete, the design process will shift towards engine and gear case mounting. This year, we will be implementing a mechanism to tension the CVT belt in order to prevent overheating due to belt slippage. Overheating of the CVT will also be combated in this year’s design through the inclusion of a fan mounted to the CVT primary and an air duct, in collaboration with the exterior design project team. These improvements to the drivetrain design should allow our car to perform better in the acceleration, hill climb, suspension and traction, and maneuverability events at competition. These improvements will also be seen on endurance day throughout the 4-hour endurance race. Why do we race with a “Black Ice” car air freshener on our car? How many Chris Plunkett stickers can you find on campus? With rituals / traditions like these, UR Baja continues to be the most interesting team on campus. We don’t always know the back story, but when we do, so will you! Click here to submit your favorite Baja ritual / tradition, and we will post our favorite ones in the next newsletter. 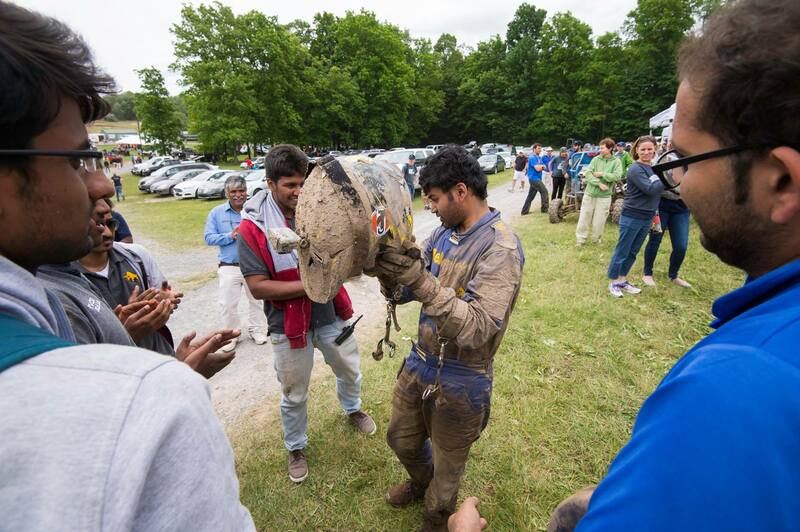 On the wake of its 10th anniversary, Team Helios Racing, the Baja team of RV College of Engineering, Bengaluru, India, decided to make its mark on the Baja world map after having an outstanding performance in the two Indian events, Baja Student India and Baja SAE India. 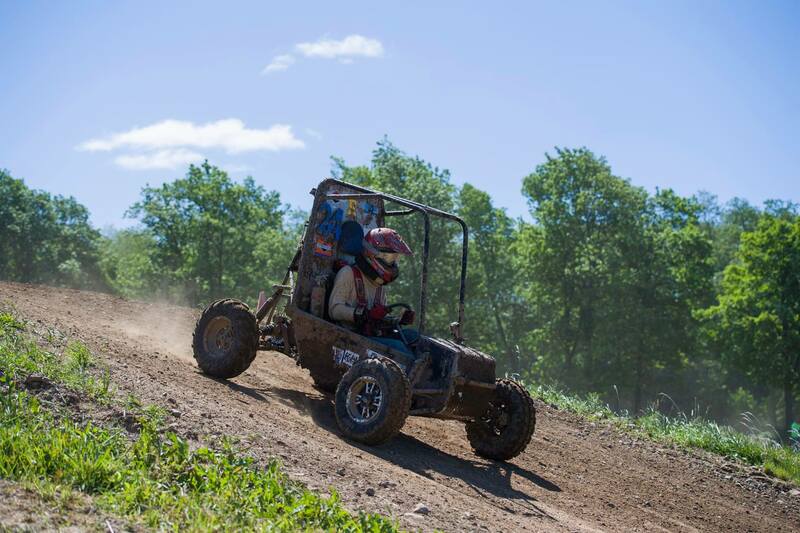 Soon after the decision was made to compete in Baja SAE Rochester event, one of the three international events of the Baja SAE series held in the USA, the team realized the herculean task of having their buggy sent over to the USA hassle-free and finding a place to assemble their buggy. They hired a local logistics company to aid them in their shipping efforts. Even though all the documents were handed over to the logistics company in time, the shipment arrived at the team’s host, University of Rochester a day late. This however, did not cause a lot of problems because the team had accounted for such delays from a very early stage of planning. Nonetheless, the team got busy with assembling their buggy and for the University of Rochester’s Baja team put a considerable amount of effort to get permissions for allowing Team Helios Racing to use the fabrication studio at Rettner Hall to assemble their buggy. Both the teams were in touch and had detailed discussions regarding University of Rochester hosting Team Helios Racing from as early as January of 2016. The Baja team of the University of Rochester was a blessing in disguise as they not only lent Team Helios Racing space to work on their buggy but also helped them move their buggy from University of Rochester to and from the event site, helped them in procuring a few components without which their participation in the competition was at risk. It was noticed by them that the Baja competitions in the US are slightly different from the ones held in India with the technical inspection being more thorough, tougher tracks and an even tougher competition. Despite some minor hiccups during the technical inspections and the race itself, Team Helios Racing performed splendidly for a debut performance in one of the fiercest competitions of Baja in the world and even took home a souvenir in the form of an award for being the second fastest buggy in the competition. Team Helios Racing would like to thank Yellowjacket Racing and the University of Rochester for their continuous support during and after the event. I joined the team a year ago, as a junior who had recently switched majors from Biomedical Engineering to Mechanical Engineering. During my time with the team, I have attended three competitions and became the elected Suspension Project Team Lead (PTL). It is a lot to take in, but I have definitely learned and grown during this period. At the time of writing, I have no idea what my colleagues are writing about, though I am fairly certain they are focusing more on the technical side of things or perhaps simply recounting the good times we all shared at the competitions (I for one certainly enjoyed every moment of both competitions). I, however, after discarding a great many drafts, ultimately settled on a topic completely different: the end goal we need to strive for, and why this goal and its associated mindset is important. It all starts with an idea I had even before becoming a PTL, that we as a team need to believe that we can be the number one Baja team in the country, and that we must always strive towards that goal. This is not a view unique amongst this year’s leadership, as there are many others besides myself who share this sentiment. If there is anything life has taught me, it is that complacency is the swiftest route to failure. The world is ever-changing, and anyone who dares to rest and revel in the fleeting successes of the moment will be swiftly overtaken and left behind. The University of Rochester’s motto is “Meliora”, meaning ever better. It is essential that we remember the meaning of that phrase and take it to heart. So what does this mean for the 2016-2017 season? Simple, it is all about achieving success in the future. The only goal I have as Suspension PTL that will be accomplished during my time here is having a working suspension for competition, but there are many ideas I have that won’t be realized during my senior year. The Class of 2016 was the class that revitalized a team, that was their legacy. The Class of 2017 will be remembered as the group that laid the foundation of a winning team. By expanding our knowledge base through reaching out to alumni, by investing heavily in the recruiting and education of underclassman, and by making better use of older cars, we will create a team that will challenge the best Baja has to offer. This will be our legacy, and I can think of nothing more deserving of my effort. Entering college I was not entirely sure what to expect. Having grown up in a small town, I was not entirely prepared for the bombardment of new clubs, activities, and social functions that college had to offer. When walking through the campus activities fair I found myself immediately overwhelmed by the possibilities. However, one booth immediately stood out as one of the most exciting and new activities that I could be a part of. The possibilities that this group seemed to offer were too fascinating to pass up and I soon found myself on the mailing list ready for a general interest meeting. I’m sure you have already guessed which booth that was. I joined the Baja team as a true novice in engineering, and motorsports in general. It was only by luck and the persuasive arguments of former member Kim Heng (’14) that I found myself at the shop for the first of many Saturday mornings ready to start work. It was during this year that I met some of my first friends at the University of Rochester and began to fully appreciate the craftsmanship and hard work of industrial manufacturing. I took a liking to arc welding; a job I would fulfill for the team for all four years of college. The work was always a challenge but after a hard year of work and a week of very little sleep, we left Rochester bright and early for what would be my first competition. The trip to Tennessee was an amazing experience filled with late night car work, cheese barns, and some all you can eat catfish. However what really drew me closer to the team was the passion that everyone showed for the vehicle. It was the kind of dedication that could only come from a year of work and was truly inspiring. After that wild Tennessee competition I was definitely hooked on Baja. Over the next two years I would take on the role of the frame project lead where I was able to hone my design, planning, and project management skills. I was responsible for two years of chassis design where the link between engineering coursework and hands on construction became very apparent. It was also during this time that I began to realize how important Baja would be to my career goals and aspirations. With the skills I gained on the team and the help of our team’s wonderful adviser Professor Sheryl Gracewski, new opportunities for summer research fellowships and industry internships became possible. It was because of this exposure to mechanical engineering that I began to shift my focus away toward a more engineering heavy career. Now that I have embarked on that path post grad, I am confident that my decision to move in this direction was best for me. Competition also introduced me to students from around the country and the world. Baja truly inspired a sense of global community across all teams. If another team needed anything, whether it be a washer to an arc welder, there would always be someone to step up. Our team benefited from plenty of this help and the generosity and kindness of the Baja community left a profound impact on me. But even before we befriended new teams at competition, we had become a family back at home. The joy of working with individuals who are both incredibly motivated and wonderfully friendly and open makes even the most challenging of projects a pleasure. In truth my favorite part of the Baja season was always the start of a new year as it would signal the start of many new friendships that would be among the closest I would have in college. We would enjoy late night food together, watch movies together, play badminton together, and travel coast to coast together in an epic road trip to Portland, Oregon during my junior year. It is these and the countless other memories of good times with friends from Baja that I will remember for the rest of my life. These bonds, forged by a collective will to engineer a superior vehicle, can never be broken. The beauty of Baja is a mutual sense of passionate and sometimes downright insane dedication to the club shared by its members. While grueling all night welding sessions and marathon design review meetings seemed exhausting, you could not help but come away from them feeling closer to your teammates, more confident in yourself, and wanting to get back in the shop the next morning to keep pushing forward. It is a feeling that many have shared throughout the history of the team and that will drive us ahead as. 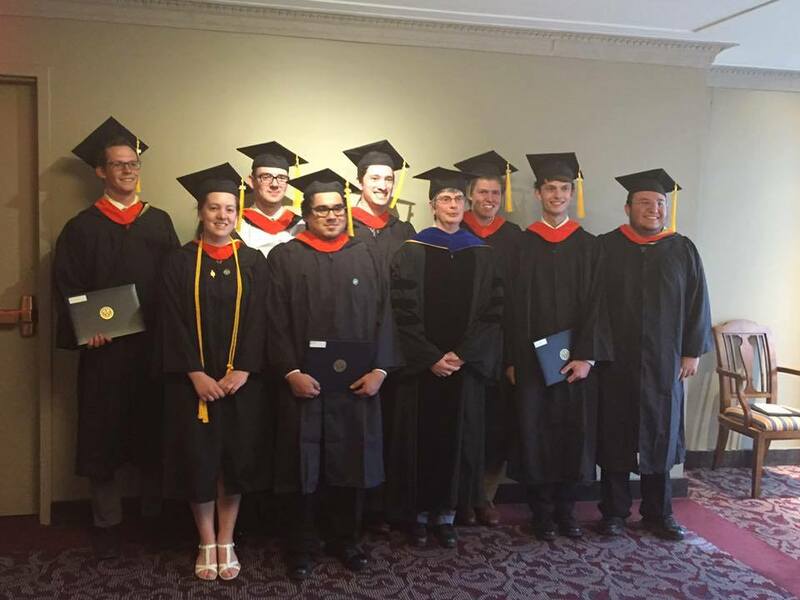 Even now, as I continue on to the next phase of my engineering career, I am constantly reminded of the skills and lessons I have learned while a part of this club. The friends I have made, support I have received and the happiness I have shared while a part of this organization is something I will always cherish. I hope to stay in touch with this team that has given me so much and I will be eager to watch as new team members take the lead and raise our racing club even greater heights. I look forward to see what other great things the team will accomplish, but above all else I look forward to seeing the sense of teamwork, determination, friendship and passion for achievement in the efforts of Baja members for years to come. So from the bottom of my heart thank you Yellowjacket Racing. You have given myself and countless other students some of the best times of our lives. My first year on the Baja team started in January, immediately after winter break. I had decided that I had failed to try anything new during the first semester of my freshman year and the club fair was going on, so I went out to see if there were any groups on campus I wanted to try getting involved in. At some point someone in a racing helmet gave me a slip of paper giving the time and location of a general interest meeting for the Baja team. A week later I was sitting in the Hopeman conference room learning about this group on campus that built weird little off-road cars and raced them. After getting a tour of the shop I decided I was going to show up that weekend to see if there was anything I could do. The details of my first weekend in the shop are unexciting; I had not completed my shop safety course and could only watch as other members worked on parts. It was not much longer before I was helping machine parts. Fast forward a few months. The car is nearing completion and I was much more involved with the team at this point. There were so many positive experiences I had in those few months that I wanted more people to experience Baja. I volunteered to go to a few events held for prospective students and talk about the Baja team. Each time we would push the car across campus, or lug a box of random parts from the drivetrain cabinet to wherever the event was being held to draw attention to our table. It will be interesting to see if those events had any success in drawing new members when I get back to campus in the fall. I had pretty good at pitching the club to people interested in engineering those not interested in it. The casual observer does not realize it but Baja has valuable experiences for everyone. I also had the opportunity to hear more senior members of the team talk about the car a lot. These events were probably the time I learned the most about how the car works besides competition. Going to my first completion was an amazing experience. The drive to Cookeville Tennessee was longer than any I had taken and in a larger group than I had ever traveled with. I have never experienced a more varied selection of music in one sitting. There are so many memories I have from competition. For example, trying to get the breaks working for just long enough to pass dynamic braking despite the hours and hours of work that went into them before competition. Or my time on carnage crew during endurance race. Tennessee was probably one of the most memorable experiences of my freshman year. My friends are probably tired of me telling stories from that trip, but that’s fine because I aim to come back from future competitions with more stories to tell. The competition in Rochester in June was an equally positive experience. I remember staying up in Rettner because the team we were hosting from India was working there. Spending time with the Indian team was a great experience. I have always been impressed by the cars that teams put together but watching Team Helios put their car together from scratch in that short a time was just crazy. Sitting near them during the prize ceremony where they took second in acceleration was great. With my experiences from Cookeville and Rochester I look forward to the opportunity to attend more competitions with the team next year. I could not have asked for a better first year on the Baja team. Although in some ways I still feel like I missed out on part of the whole first year experience. Since I joined the team in January I didn’t get to experience any of the work that went on during the first semester. I didn’t get to experience Midnight Mayhem. I am looking forward to the fall when I go back to Rochester because I honestly can’t wait to see what I missed. Next season is going to be amazing and I cannot wait to get started on the new car. My first experiences and memories with the Baja team have been nothing but positive and I look forward to all the ones in my future.